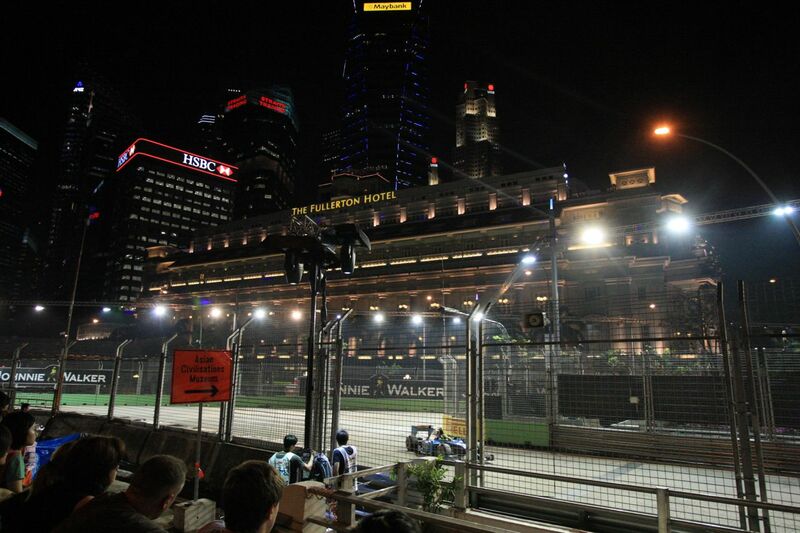 In the year 2008, Formula 1 came to Singapore, lighting up the Marina Bay cityscape skyline in the night with the maiden world’s first and only Night Race. In her 5th edition year, the Singtel Formula One Singapore GP 2012 grew over the past 5 years and we would be having the Night Race in our beautiful Marina Bay cityscape for another 5 years! With my strong passion and interest in sports photography and watching Formula One action, I wrote a post on F1 Photography tips, from my experiences, trials and errors during the time I was at Singapore F1 GP photographing the F1 cars in action. For Singapore GP 2012, I went for two days, Friday and Saturday. It was great fun for me photographing the F1 cars, at my favourite Turns 11, 12 and 13, whereby the F1 cars were at a much slower speed and this allowed me to capture (freeze) them in action a lot easier. Photographing F1 cars in fast high octane action is very difficult, it’s not just about skills and experiences, it’s also about the quality of my photography gear, especially the lens and DSLR body! My cousin and niece were there too on Friday night practice and we all watched the action from Turn 13 viewing platform. There were entertainment too at the Padang, whereby Jay Chou was performing after the second practice session on Friday night. However, I didn’t stay back and watch his Jay Chou’s performance and headed home to rest. On Saturday, I was back again at the Singapore GP, courtesy of Singtel, with a bunch of social media community friends to enjoy and have fun at the Singapore GP. While they enjoyed it from the Padang Grandstand, I walked around to Turn 11, 12 and 13 again to capture the F1 cars in action, trying to capture different angles and views from my favourite Turns 11, 12 and 13. After the qualifying session was over, I joined back bunch of friends for Maroon 5 concert at the Padang and they rocked the house down! 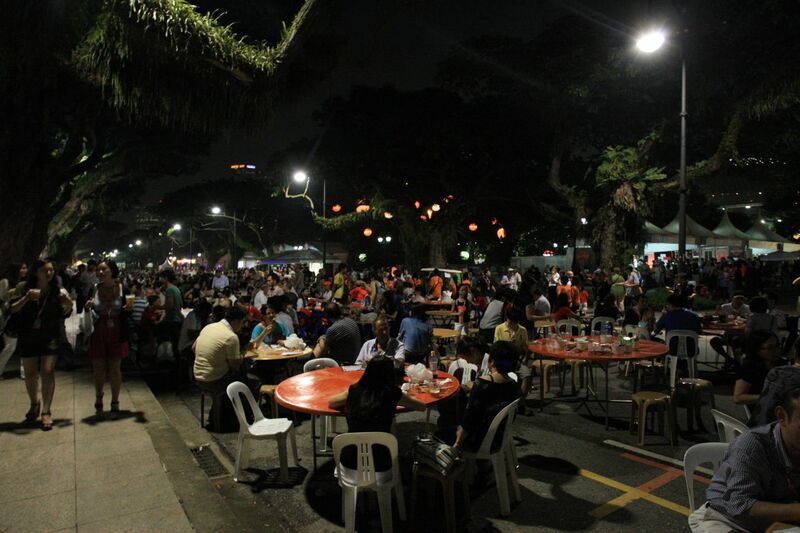 The concert was awesome and you can see the whole of Padang filled up with many people! 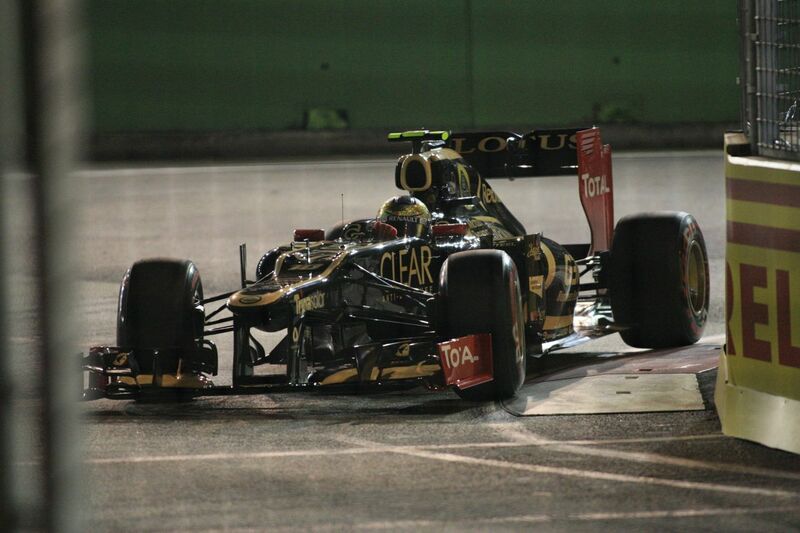 Check out my Singapore GP 2012 photos on Flickr! The 2012 Singapore GP had to be one of my most exciting and fun years that I attended (as compared to the other 4 years), reasons were I went for 2 days instead of 1 day, a bunch of friends to stay back and enjoy the concert that were part of the entertainment. On the photography aspect, my F1 photography experiences over the past 4 years and the addition of a mint 2nd hand Canon EF 300mm f/2.8 L USM powerful lens helped me a lot in my F1 sports photography for 2012 Singapore GP!! 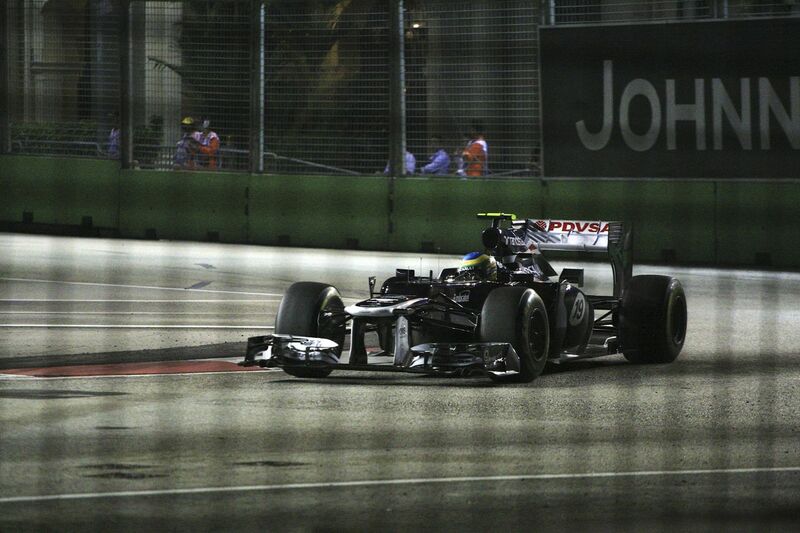 Check out my Formula One Singapore GP photography collection over the years on Flickr! The unique and iconic F1 Night Race in a city landscape, it’s beautiful and special, making the Singapore GP a great carnival atmosphere with F1 sports photography action. This is indeed an awesome branding, publicity and marketing for Singapore to the whole world. 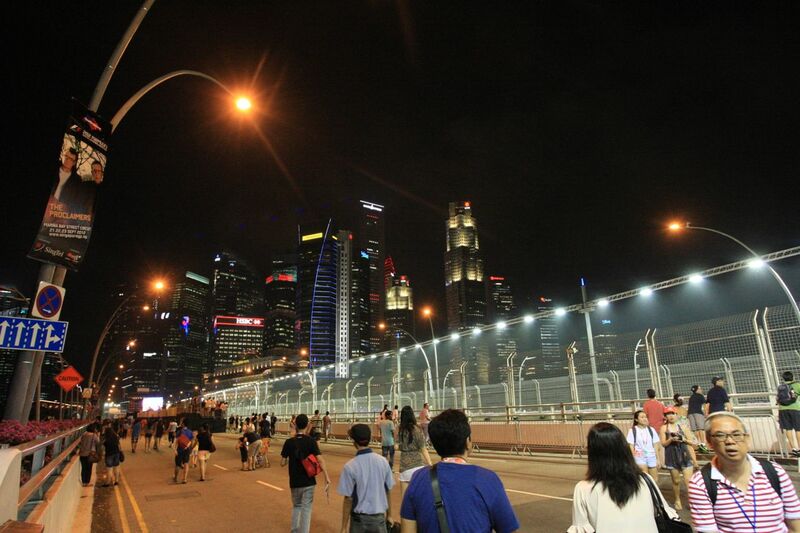 With the renewal of the Singapore GP for the next 5 years, I am looking forward to 2013 Singapore GP ! !